Last week, Congress passed an important piece of tax legislation as part of the fiscal year 2016 omnibus budget that will increase food donations and prevent food waste. 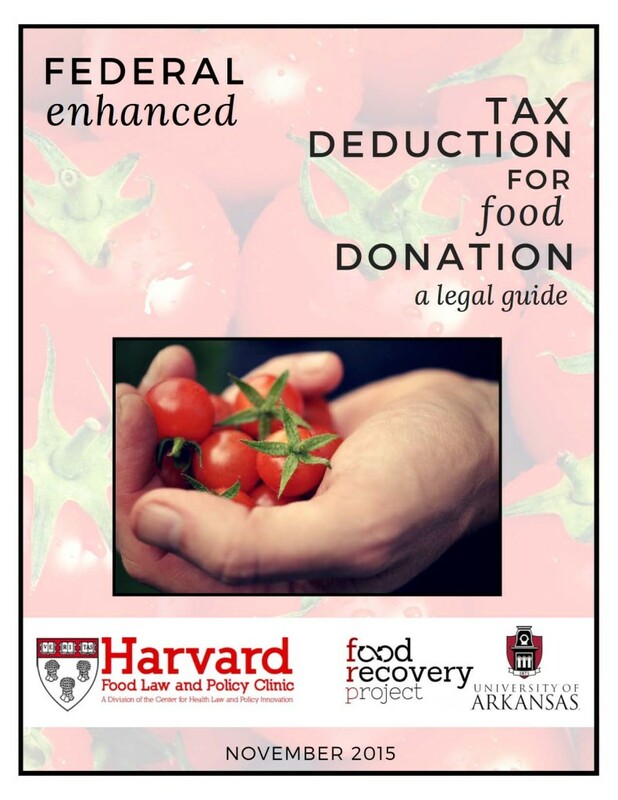 The Food Law and Policy Clinic (FLPC) applauds the passage of this portion of the legislation, which provides for a more comprehensive tax incentive policy for food donations. 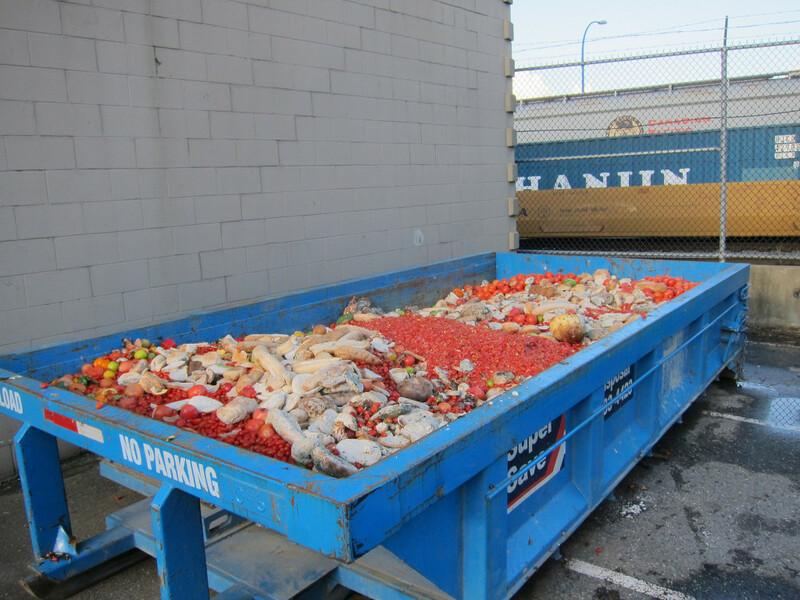 As part of its Food Waste Initiative, FLPC has worked the past few years to support the changes to the tax incentives for food donations that were included in last week’s legislation. Last fall, FLPC partnered with other food recovery leaders to send a sign on letter to Congress, advocating for passage of the America Gives More Act (which was the basis for the language eventually incorporated into the 2016 omnibus budget). Earlier this fall, FLPC and the Food Recovery Project published a guide to the federal enhanced tax deduction, in which we noted that one challenge with the federal enhanced tax deduction is that it was only permanently authorized for C-corporations, but not for other businesses. We are happy to report that the new 2016 omnibus budget addresses that challenge that by making the enhanced deduction permanent for all businesses. The extension and modification of the charitable deduction for contributions of food inventory included in the 2016 omnibus budget contains four significant changes: 1) a permanent extension of the enhanced tax deduction for food donations; 2) increases the deduction’s cap to 15% of the donor’s net income; 3) provides certain taxpayers a new optional formula for calculating the enhanced deduction; and 4) provides a formula for determining the fair market value (FMV) of food inventory. Each of these are explained in more detail below. First, the legislation permanently extends the enhanced tax deduction, which was previously only available to C-corporations, to all business entities. Large food manufacturers and retailers are generally incorporated as C-Corporations, but many small-scale food entities–such as farmers, ranchers, and restaurants–are not. Although food businesses of all types and sizes have surplus food, businesses that were not organized as C-corporations were previously only eligible for the general deduction for charitable contributions. The general deduction provides a significantly lower financial incentive than the enhanced deduction because it only allows the business to deduct the basis value (or the cost to the business of acquiring the product). By contrast, the enhanced deduction allows a business to deduct the smaller of (a) twice the basis of the donated food or (b) the basis of the donated food plus one-half of the food’s expected profit margin, if it were sold at its fair market value. In 2005, Congress passed the Katrina Emergency Tax Relief Act (KETRA) expansion to encourage more food donation by making the enhanced deduction available to all business entities. Food donations increased 137% during the first year of the KETRA expansion. While KETRA was initially intended to apply only to donations made until the end of 2005, Congress repeatedly renewed the expansion each year. However, this year Congress had yet to renew the KETRA expansion that had expired on December 31, 2014, which left C-Corporations once again as the only business entities eligible for the enhanced deduction. In addition, the short term expansions of the enhanced deduction made it difficult for non-C-corporations to plan in advance, and thus, failed to sufficiently incentivize long-term investments in food donation. The 2016 omnibus budget finally extends the enhanced tax deduction to all businesses on a permanent basis. This will incentivize businesses of all types and sizes to donate healthy, wholesome food and to establish long-term food donation partnerships and programs. The legislation’s expansion of the enhanced deduction applies permanently to all business entities in future tax years, as well as applies retroactively for the 2015 tax year. Second, this legislation increases the annual cap on food donations that are deductible. Previously, the enhanced deduction limited the total deductions for food donations to not more than 10% of a business’ total taxable income each year. The 2016 omnibus budget increases the cap to 15% of the donor’s net income, starting in 2016. This will encourage businesses to donate even more surplus food by allowing them to reap a greater financial benefit each tax year. After 2015, the legislation also allows businesses to carry forward any excess deductions beyond the 15% income limitation for up to five years, which will allow businesses to receive future financial incentives if they do max out on the deduction limit. Finally, the legislation clarifies the method of determining the Fair Market Value (FMV) for food products that cannot be sold because of failure to meet internal standards, lack of a market, or similar reasons. Under these circumstances, a business can calculate the FMV of these products by using the price of the same or substantially similar food items that are being sold by the business. Prior to this new formula, several businesses were disadvantaged when they donated unsaleable foods, or foods that are unmarketable in traditional retail outlets, like packaged foods that are missing part of a label, or past-date food that is not allowed to be sold under certain state laws. For foods like that, which were not able to be sold, it was previously unclear whether the food was still worth its original FMV for purposes of claiming the deduction or whether its market value had decreased because of its defect. Having to adjust down the value of perfectly safe and wholesome food would significantly impact the donor’s enhanced deduction and often meant it did not make economic sense to donate such food. However, the new standard will encourage businesses to donate their safe and wholesome unsaleable food because it allows these businesses to claim an enhanced deduction based on a more accurate FMV, thus incentivizing donation by helping to cover the costs of donating such products. Pingback: The Tax Benefit Of Donating Excess Restaurant Food To A Soup Kitchen - Self-Employment and Taxes—What Do You Do?